Government sources, however, indicated that the special package for IL&FS could be a one-time measure since the company has now been taken over by the government. IL&FS may be able to recover Rs 1,400 crore from the project, if this proposal for settlement gets the go-ahead. 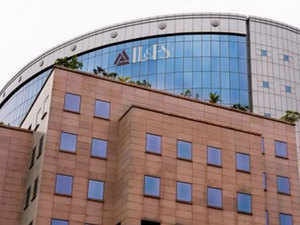 NEW DELHI: The government may offer a bailout to highway projects of the crisis-hit IL&FS, the board of which was recently superseded, as it seeks to put the company on track to prevent a systemic threat. The key directors of the IL&FS board met transport and highways minister Nitin Gadkari on Wednesday to apprise him of the challenges being faced by the group. Both the ministry and IL&FS have agreed to look at various options to take the group out of the current crisis. An option being discussed is to appoint an independent engineer for each stuck project to assess the physical progress and, based on the work completed, a payout would be given by the government to enable IL&FS to exit, sources told TOI. While this will help the company, which is battling multiple repayment defaults, it will increase the headache for the government agencies, including National Highways Authority of India, which will have to bid out the incomplete projects. Sources said IL&FS has about 17 NH projects, including the completed ones. Only six are under construction. In case of the Rs 3,500-crore Z-Morh tunnel project in J&K, for instance, nearly 40% of the work has been completed. IL&FS may be able to recover Rs 1,400 crore from the project, if this proposal for settlement gets the go-ahead. Another option under consideration is to get lenders in projects executed under public-private partnership (PPP) to replace IL&FS as the concessionaire to help bankers get back their money by completing the projects. And, bailout could be offered for the government-funded ones. At the same time, the government is also looking at ways, including an out-of-court settlement, with the rider that no claims will be entertained later. Currently, arbitration is going on for three NH projects, involving around Rs 1,400 crore. All put together, IL&FS Group's claims related to the NH sector are estimated at about Rs 10,000 crore. Sources pointed out that in some cases, where the arbitrator has decided on the money to be paid to IL&FS, the government is willing to settle the claims in line with the decision, provided IL&FS would not move court for getting higher payout. For instance, in one case, the arbitration panel has decided on a payment of Rs 42 crore against a claim of Rs 207 crore, which has been challenged by IL&FS in court. Helping out national highway projects of IL&FS is seen to be crucial to the group's revival as a bulk of its assets relates to the sector. The board members told Gadkari that it will soon carry out an assessment of the projects that have been completed, along with those that are stuck and cases where disputes have been raised. Government sources, however, indicated that the special package for IL&FS could be a one-time measure since the company has now been taken over by the government. This may require an approval from the cabinet.